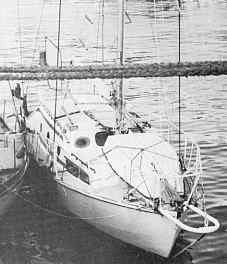 28′ (8.69m) auxiliary yacht or motor-sailer. For construction in plywood or as a mould for grp/frp. Beam 9’6″. 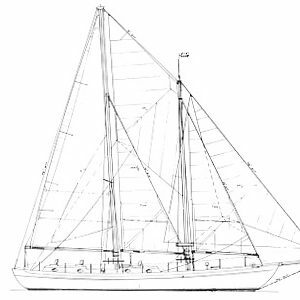 Relatively cheap and easy to build proven ocean sailer. 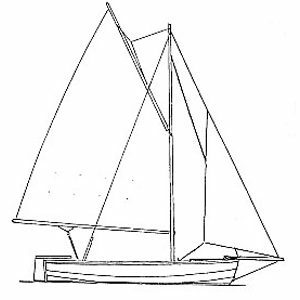 Draught with single keel 5’6″. 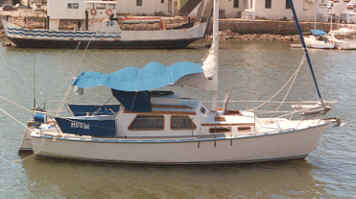 Draught as a centreboarder plate up 2’9″, plate down 6’9″ and as a bilge keeler 3’2″. 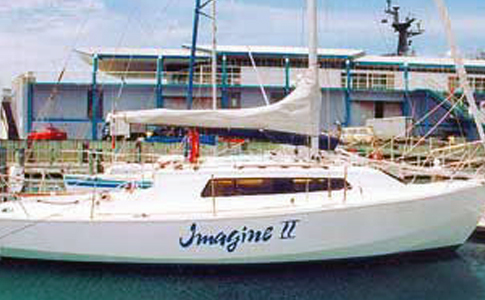 Accommodation is 6 berths, galley and separate wc. 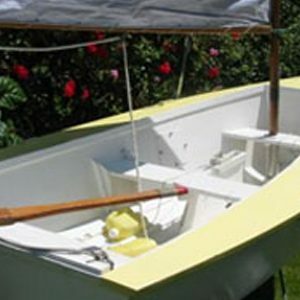 Relatively easy and cheap to construct for a sailing vessel of this size, uses only 28 sheets of ply. 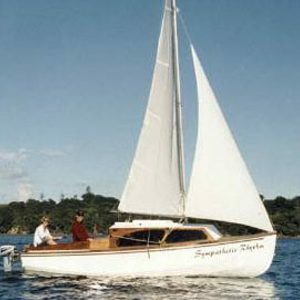 The ’28’ is a well tried and proven design, one of the first built (with bilge-keels), sailed single handed 1200 miles from Fiji to New Zealand. Takes engines from 10 to 30hp.